Warrington's strong rugby league heritage will be celebrated in a brand new exhibition which visits the town as part of Warrington Festival. Rugby League Heritage On Tour will be jam-packed with historic memorabilia, including a player's shirt from the first-ever rugby league test match and the ball from the famous 1954 Challenge Cup final replay. Also featured will be multiple items from the Mike Stephenson Collection. The collection will detail the story of the game's split from rugby union, the first World Cup, the banning of league in World War Two and much, much more. This exhibition not only tells the story of the game, players and supporters, but also the communities that helped make the sport the success that it is. 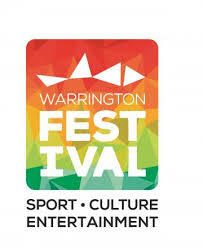 Culture Warrington has collaborated with Rugby League Cares who have organised the exhibition with the help of a Heritage Lottery Fund grant. Rugby League Cares is a charity dedicated to supporting the Rugby League family and its local communities. Their mission is to enhance and enrich people's lives through the power and positive influence of Rugby League. Whether you're a rugby league fan or a lover of social history, this is an exhibition not to be missed.